252€ 2200mm Ø25mm 600g High quality Nemeth UT javelin made with an inaccuracy tolerant, narrow Nemeth javelin tip. Recommended for technically beginner throwers, students. Good compensation in case of inaccurate release. Suitable for both practices and competitions. 183€ 2200mm Ø25mm 600g High quality Nemeth UT javelin made with an inaccuracy tolerant, narrow Nemeth javelin tip. 233€ 2200mm Ø25mm 700g High quality overweighted, 700g Nemeth practice javelin. 225€ 2200mm Ø25mm 500g High quality underweighted, 500g Nemeth practice javelin. 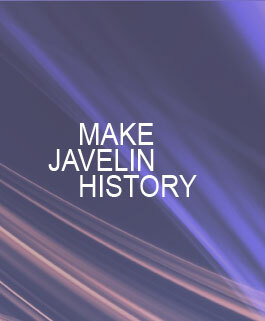 You can download our Women's Training Javelins catalogue here: Women's Training Javelins Catalogue.